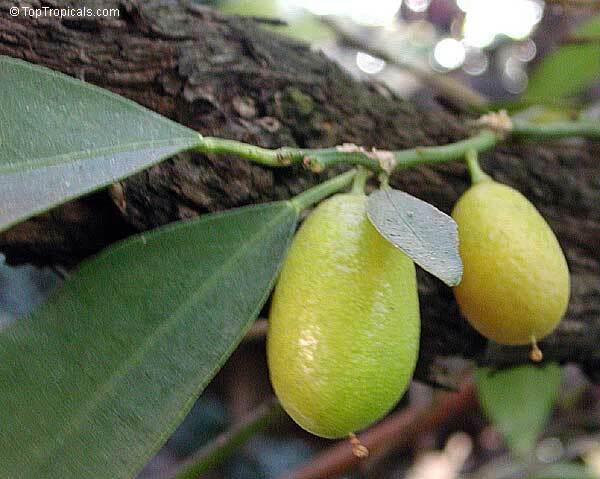 The calamondin tree, ranging from 6 1/2 to 25 ft (2-7.5 m) high, is erect, slender, often quite cylindrical, densely branched beginning close to the ground, slightly thorny, and develops an extraordinarily deep taproot. Calamondin halves or quarters may be served with iced tea, seafood and meats, to be squeezed for the acid juice. 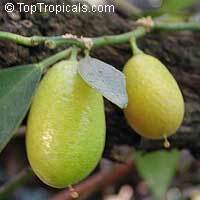 They were commonly so used in Florida before limes became plentiful. Some people boil the sliced fruits with cranberries to make a tart sauce. 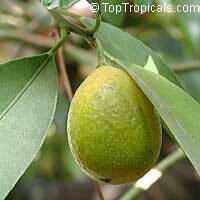 Calamondins are also preserved whole in sugar sirup, or made into sweet pickles, or marmalade. A superior marmalade is made by using equal quantities of calamondins and kumquats. In Hawaii, a calamondin-papaya marmalade is popular. 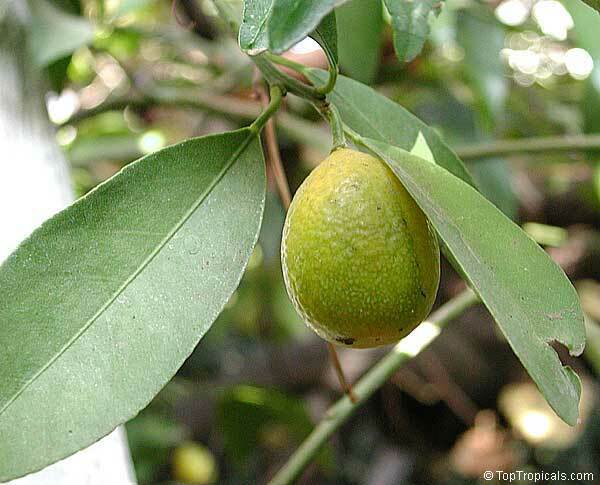 In Malaya, the calamondin is an ingredient in chutney. Whole fruits, fried in coconut oil with various seasonings, are eaten with curry. The preserved peel is added as flavoring to other fruits stewed or preserved. The juice is primarily valued for making acid beverages. It is often employed like lime or lemon juice to make gelatin salads or desserts, custard pie or chiffon pie. In the Philippines, the extracted juice, with the addition of gum tragacanth as an emulsifier, is pasteurized and bottled commercially. This product must be stored at low temperature to keep well. Pectin is recovered from the peel as a by-product of juice production.